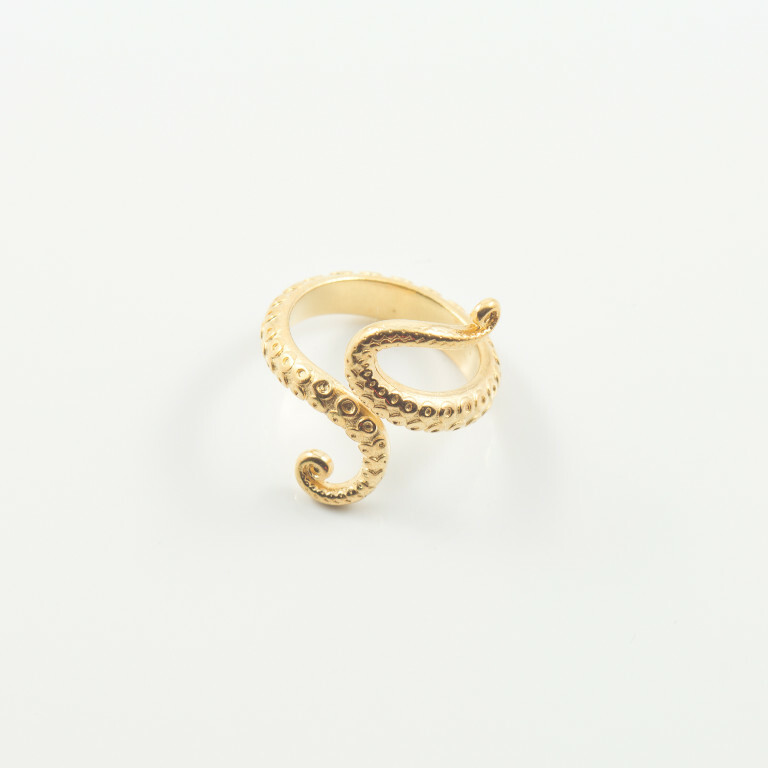 Metallic ring tentacle octopus in gold color. It has a gap so it can fluctuate its size. Diameter 2.3cm.